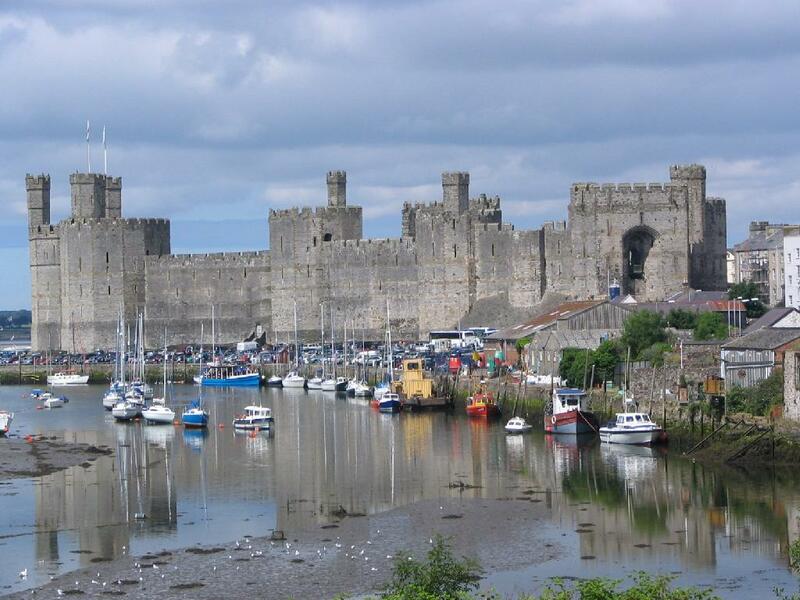 Three weeks in Wales, Part 9: castles, churches, and the Green Desert. Part 1. Part 2. Part 3. Part 4. Part 5. Part 6. Part 7. Part 8. We were going to head north, to meet up with another of Martha’s friends from the online Welsh language community. But we decided to explore a bit along the way. Exploring, we discovered a castle we hadn’t visited previously: Cilgerran. This beautifully located castle has a romantic air. The coracle, a one-person boat native to these parts, has a history dating back thousands of years. Cilgerran Castle, which overlooks the Teifi, a river favoured by the peculiar vessel, isn’t doing too badly either. Almost 800 years young and counting.Take the wall-walk to truly appreciate why it was built here. Stunning location. Perfect for stunning attackers. The Normans first saw the potential and established an early ‘ringwork’ castle here, but the imposing masonry castle we see today was probably the work of William Marshal, earl of Pembroke. It really is an impressive structure, and we enjoyed poking around it for a good while. Not a strawman I’d care to fight. The walls were surprisingly thick — about 10′. Which is about half again what you normally see in castles of this age. Definitely glad that we stopped to check it out. He led Darnell through the gateway, onto the smooth green lawn which once had been the floor of the abbey church. To the left and right were the foundations of the original walls, less than a half meter tall, and somewhat wider than that. Beyond those were the remains of the exterior walls of the north and south aisles. Looking down the long nave, and across to the far wall of the north transept, Darnell saw a small group of people before a large slate sign. From his previous visits, he knew that this was a marker dedicated to a famous Welsh medieval poet who was buried on the grounds. This was familiar ground, ground he had walked before. And yet, for the first time he felt something different. It was an echo of that resonance he had felt at St David’s Cathedral, of the shimmering energy of Stonehenge. Something deep. Powerful. Old. Whether the ground was so imbued with this strange … energy … before the monks had chosen this spot for their abbey, or whether the energy was the effect of hundreds of years of worship on the location, he didn’t know. But there was something there which touched him, which opened a door he had only recently come to realize even existed. Graves of princes and poets. The Cenlisinus stone on the left, the Dallas Dumelus stone on the right. Three weeks in Wales, Part 8: before history. Part 1. Part 2. Part 3. Part 4. Part 5. Part 6. Part 7. We spent the bulk of Sunday driving to Llandysul in SW Wales. There we’d made arrangements to stay with an online friend of Martha’s. Monday we spent mostly in prehistoric Britain, starting with Castell Henllys. This is an iron age hillfort which has been partially reconstructed, using solid archeological research done on the site. Since the roundhouses have been rebuilt right on the original foundations, you get a real sense of what life in the village must have been like. You can see it, feel it, smell it. They’ve done a remarkable job in building the structures and constructing the everyday items which would have been inside them. Typical traps between the defensive berms: sharp rocks, pot holes, mires. What you see as you come through the defensive perimeter. Nice to see how the thatch around the vent hole was replaced recently. Common house and animal pen. Entrance to the chieftain’s hut. Decorative end of log seat. It was a delightful day. Three weeks in Wales, Part 3: Under ancient skies. After a very nice breakfast at our B&B in Kidwelly, we decided to hit a couple of our favorite places as we worked our way north to Dolgellau, where we had a cottage for the next week. 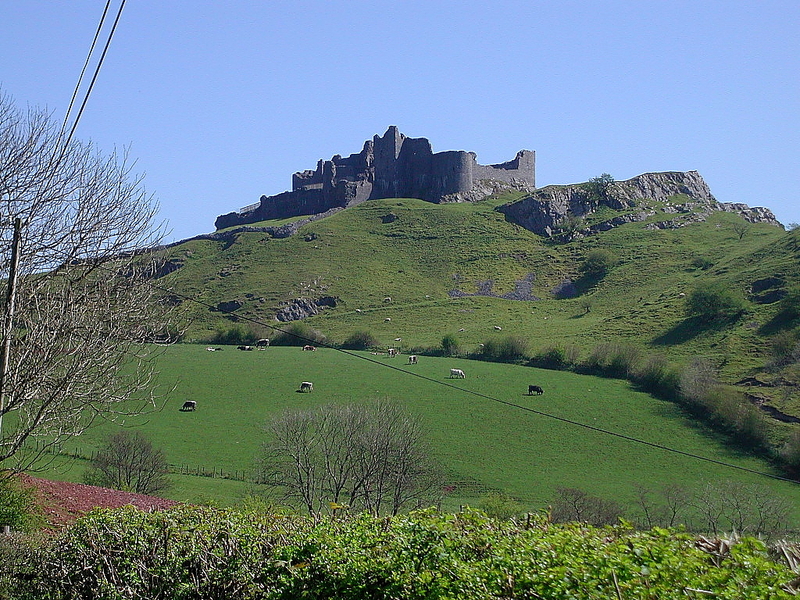 From the Garden, we decided to backtrack a bit east, to one of my favorite Welsh castles, on the edge of the Brecon Beacons: Carreg Cennen. This was widely considered the most important megalithic site in the entire country, yet all it got was this simple sign on a country road smaller than just about any subdivision road in the US. It was frustrating, yet somehow also endearing, because it showed just how much the Welsh assumed that locals would know about the area … and how little interest outsiders would take. Darnell came to the ‘parking area’: an extra strip of asphalt, with room to park perhaps half a dozen cars along the road. There was a simple gravel path, a wooden gate, and a very small metal sign from CADW that said “Pentre Ifan.” Darnell pulled over and parked. His was the only vehicle there. He got out of the car, slung his bag over his shoulder, plopped his hat on his head. The slight mist wasn’t heavy enough to require digging out either umbrella or rain gear. Stepping onto the path at the gate, he realized that it wasn’t a gravel path, but was instead made of crushed stone. Crushed … bluestone, from the looks of it, when he squatted down to get a better look. He continued on. Alongside the path was a tumble-down wall separating fields, partially overgrown with hedge and briar. He went past cattle in the field, grazing and occasionally lowing to one another, who took little interest in him as he walked along. Through another kissing gate, and almost suddenly he was standing there before the structure, bare to the sky. One great slab of stone several meters long and a couple wide, supported by three menhir, high enough that he would have to stretch a bit to touch the underside of the capstone. There were a couple of additional uprights at the south end, and several largish stones which had tumbled over. He just stood there for a moment, taking it all in. Standing there, it is easy to imagine yourself looking over the landscape at any point in the last thousand … two thousand … five thousand years. Because Pentre Ifan is estimated to date back to approximately 3,500 — 3,000 B.C. Which is the same time period for the initial construction of Stonehenge. The small back roads from Pentre Ifan to Craig Rhosyfelin were, though it was difficult to believe, even worse than what had brought him to the dolmen. They were little more than cart paths in a slight depression between hedge rows. But it was a pleasant, pretty area, and as he came out of the trees from the west, heading down the long gentle hillside, everything seemed to open up. He was just to the north of the main Preseli Hills. The light mist which had been coming down earlier threatened to turn into real rain, and the local radar had shown heavier storms moving in. Eleazar had been correct; Craig Rhosyfelin was easy to find on the map, and wasn’t at all far. Furthermore, the site had recently been in the news as having been identified as a source of the inner Stonehenge stones, the oldest part of the structure. He followed the directions Andi gave, and after making a sharp right bend he saw it there in front of him: a lump of rock poking up above the narrow little valley floor. Thirty meters ahead there was a hairpin turn of a switchback, and just at the point of the turn was a small area where he could pull off and park the car. He did so. There was no signage, no formal public access path down to the exposed crag. But he pulled off the road, and got out of the car. He walked over to the fence. It was simple cattle mesh with a strand of barbed wire on top, supported by rough wooden posts. Allowing access over the fence was a small, new-ish ladder that went up one side and then down the other. The sort of thing you’d see countless examples of in the Welsh countryside. He went back to the car, grabbed his shoulder bag. Then glancing up at the sky, decided that taking an umbrella would suffice for the current amount of rain. Opening it, he went to the fence, then over the ladder to the other side. The way down to the little valley floor was clear. He descended. Standing there, before the lump of rock, it was easy to see why others might have picked this as a possible source for the Stonehenge bluestones. The whole base of the outcrop was exposed stone, in fractured slabs two to three meters in height. Above that was more such rock partially obscured by gorse and other vegetation. Here and there were suitable stones already about the size and shape of the bluestones of the inner circle of Stonehenge, ready to be split off and carted away. Though there was still evidence of recent archeological digs, there was nothing fresh, and no one in sight. Darnell went down the length of the outcrop to the left, figuring that he would just walk around the whole 60 or 70 meters of the crag to take the entire thing in. He got down to the point of the outcrop and turned back up the valley on the other side. I think I did a pretty good job describing the site. Especially considering that I’d never actually been there previously. OK, this is a weird thing. Prior to this trip, I would have sworn that I had actually been to the site before. When we got there, I knew where to park, where to go, what to expect. There were some changes from my memory, with a new gate entrance, etc, but you might expect that with a few years between visits. But my wife swears that we’ve never been there before. And had I gone, I would have done so with her. In checking back over my previous travelogs, there’s no mention of Craig Rhosyfelin. My memories are nonetheless vivid of seeing the place. The only conclusion I can draw is that I spent so much time going over the site on Google Streetview and Google Earth, in looking at images of it online, that I manufactured false memories of having visited it in person. It is a very strange feeling to have both the memories and the knowledge that they are not real. Very strange. Three weeks in Wales, Part 1: Not there yet. From May 13th through June 5th, my wife and I enjoyed a great vacation in the UK, mostly spent in Wales. For the first couple of weeks of the trip my sister and her family joined us. It was a good chance to get away from things a bit. Spending time enjoying Wales always seems to help me clear my head and get some perspective, even when I don’t necessarily feel like I have pressing matters to ponder. In the coming couple of weeks I’m going to share some of my thoughts and experiences, and probably a fair number of images, from that trip. It’s not going to be like previous travelogues I’ve done, but I hope it will nonetheless be enjoyable. 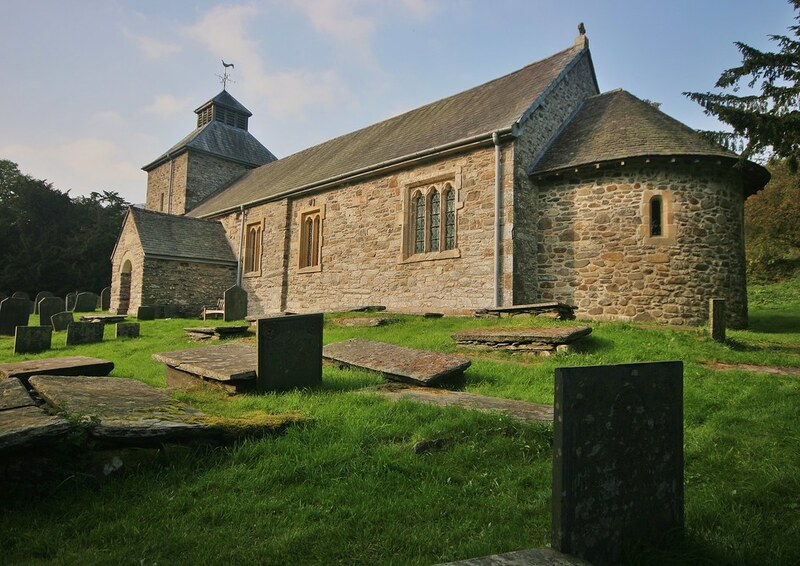 And for those who have been patiently waiting for me to finish St Cybi’s Well, there will be some particular treats in visiting locations in that book. London is one of the world’s great cities. And even though as a general rule I don’t like cities, I can usually spend up to a week at a time in London without starting to go stir-crazy. From a recent mosaic near the Millennium Bridge. Not exactly a celebration of peasant revolts, but also not really a criticism of them, either. “From Surface to Surface” by Susumu Koshimizu at the Tate Modern. The Tate Modern also had a completely magical audio sculpture in the Turbine Hall by Bruce Nauman which I and my brother-in-law Steven thoroughly enjoyed. Steven, my sister Celeste, and their daughter Haley. Yew know what I mean? Yeah, one of the four copies known to exist. I was happy to see that they had upgraded both their security and their presentation from the last time I saw this copy. Crows don’t care about the rules. As he crossed the earthen ditch which surrounded the stones some 20 meters out, following the usual paved walking path, he noticed that the shaping of the sound somehow changed. Perhaps it was the mass of bodies crowding in around the stones. But it seemed less to be coming from one particular place, and more like it was just coming up from the ground all around him. Then he stepped off the path, and onto the grass, and he could feel the sound more than hear it. It strummed through his heels, up his legs, vibrations caressing his entire body. It was the springiness, the resonance, which he had felt at St David’s, but infinitely stronger. Stronger, and shared. Shared, he knew, by every person who walked this ground. By every person who had ever walked this ground. It was as though the earth itself were a drum, and this the taut, shimmering skin which they skittered across. Slowly he made his way into the circle, almost in a daze. Others moved past and around him, making contact, sharing a smile, a laugh, tears. He had never before been this close to the stones, had never come on those rare occasions when the site was open this way. They seemed impossibly tall, impossibly old. He stepped past the first great upright before him, then paused, and gingerly reached out to touch it. Cold stone, rough weathered, aged lichens. A woman standing next to him had her eyes closed, the palms of her hands also on the stone, and for a moment he felt her mind there, the contact of lovers sharing a glimpse of the eternal. It caught his breath, he stepped back, turned in slight embarrassment and stepped further into the circle. Further into the crowd. Now the press of people was greater. There were people everywhere, holding hands, praying, chanting, caressing. They were on the fallen stones, pressed up against the standing sarsens, moving. He felt himself drawn further in, pulled in by the sound vibrations filling the space, which became deeper and stronger with every step. He passed the inner sarsen, stood there in the inner circle, the sanctum sanctorum, the Garbha griha, the sacred center of everything. Around one of the fallen stones there in the center was a space, an opening in the crowd. Everyone peered in, watching a woman in white robes. She was kneeling beside the stone, but not in prayer. Kneeling so that she was at the proper height to reach out and strike the great stone. To strike it with stone-headed mallets. And with each strike, the stone gave a deep, resounding gonging which echoed from the earth, then spread out from the center to touch everything and everyone in a growing, encompassing spiral. For the third time that day he felt himself grow woozy, felt the world spin. He reached out a hand to steady himself, looking for another person, or another stone, for stability. And he touched one of the blue stones, one of the much smaller uprights which had come from Wales. From Craig Rhosyfelin. It was warm to the touch. Warm, and welcoming. Yeah, they really are that big. And while that wasn’t yet the end of the day, it was the end of our trip outside of Wales. Next: the third World Heritage Site in one day. Can you guess what it will be?